Open weekend at Thornedge a huge success. The first of a series of open weekends at our luxury development near Carlisle was a great success, with more than 40 people going along. “Considering the weather last Saturday and Sunday, this was a great turnout and we’re really pleased,” said Ralph Lowe, sales manager at Magnus Homes. “The stunning contemporary homes at our Thornedge site in Cumwhinton are ideal for a range of buyers, from families to couples, single professionals and downsizers. “We had fantastic feedback at the event with visitors hugely impressed by the high specification and contemporary lifestyle offered by these stylish properties. Magnus Homes has built 27 detached and semi-detached houses and bungalows at Thornedge, a former farm and stables in Cumwhinton. Just three detached properties – two five-bed and one four-bed – and one three-bed semi are still available. The properties are competitively priced with the four-bedroom house at £335,000 and the five-bedroom house at £399,950. 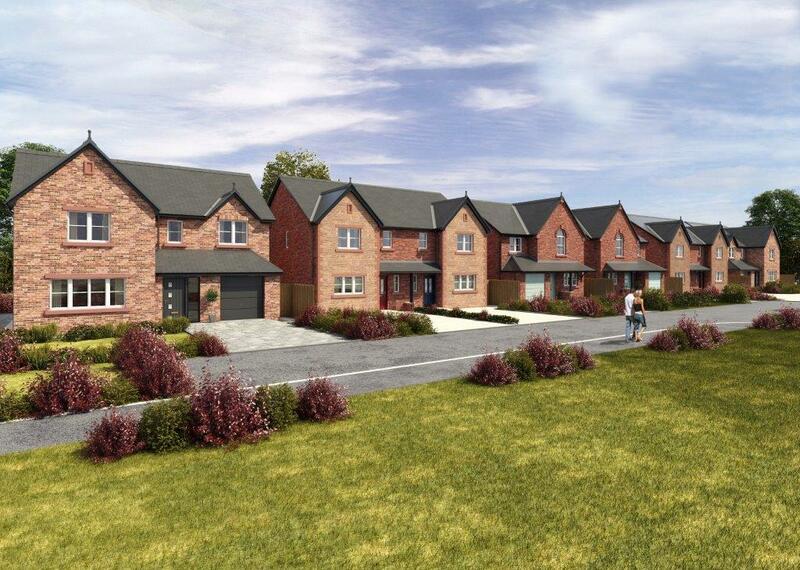 A new phase called Thornedge Gardens is about to be released for sale and will comprise eight properties of varying types – four-bedroom dormers, three-bedroom detached bungalows and two-bedroom semi-detached bungalows. Many of the properties at the Thornedge development include floor coverings throughout, oak finish doors, oak and glass staircases, en-suite bedrooms and integral garages. Patio doors lead to the landscaped gardens which, on the larger homes, have lawns, terraces, patios and paved areas. Director Frank Lowe said: “From planning and design through to delivery, we work closely with our architects, engineers, partners and skilled building teams to create quality homes with a stamp of individuality. The company prides itself on providing excellent customer service, ensuring that a customer’s new home meets their aspirations. For more information about Thornedge, contact Ralph Lowe on 07980 268450 or Frank Lowe on 07967 985465. Alternatively call the selling agents Cumberland Estate Agents on 01228 403222.